New Delhi: A tea-seller who donates profits for education of slum children, a doctor couple who charge rupees one from patients and a retired IPS officer who set up a school for a Mahadalit community are among the ‘unsung heroes’ who were given the Padma awards this year. A villager from Odisha who single-handedly toiled to carve out a three-km-long canal to bring mountain water to irrigate 100 acres of land and a German who looks after 1,200 sick, old and injured cows in Mathura are also among the 112 people who were chosen by the government for the awards, Home Ministry officials said. 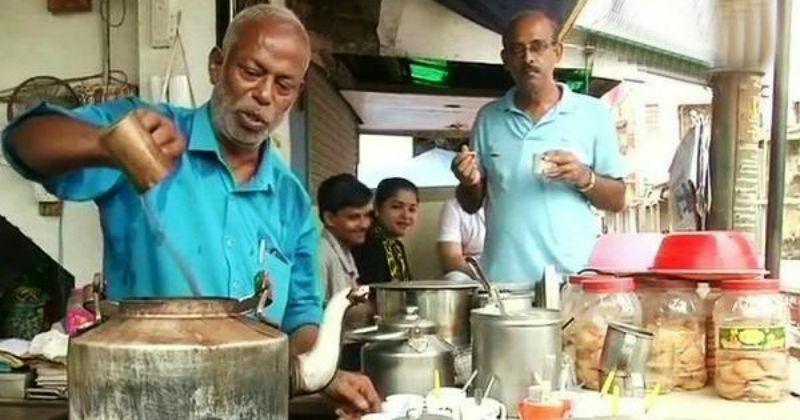 Devarapalli Prakash Rao, known as ‘chai bechne-wala guru’, has been providing education to slum children through the money earned from selling tea. Rao, who has been working since the age of seven and suffers from lower torse paralysis, contributed half of his income in setting up and running a school – ‘Asha O Ashwasana’ – in Cuttack. Doctor couple, Smita and Ravindra Kolhe has been serving the poor Korku tribals in the Naxalism-affected Bairagad in Melghat district of Maharashtra for the past three decades. They run a clinic and charge a negligible fees of rupees one and two and helped make Melghat a suicide-free zone for farmers. Retired IPS officer Jyoti Kumar Sinha, who had served as secretary at the National Security Council Secretariat, has been providing education to children of the Mahadalit Musahar community post retirement in Bihar. The Musahar community has a literacy rate of just three per cent and for them Sinha has set up an English medium residential school – ‘Shoshit Shoshit Samadhan Kendra’ — where 320 Musahar students are enrolled from classes 1 to 12. Daitari Naik is called as ‘Canal Man of Odisha’ as he has single-handedly toiled to carve out a three km-long canal to bring mountain stream to water agriculture fields. Carved the canal with hoe and crowbar in four years, the water has reached 100 acres of land around Baitarni village, where there is no water shortage now. Friederike Irina Bruning, is known as ‘gau mata ki aashraydaatri’ (one who gives shelter to cows) for her relentless work to look after 1,200 cows in her ‘gaushala’ in Mathura in Uttar Pradesh for the past 23 years. She takes care of the homeless, abandoned, sick, blind and badly injured cows in her ‘gaushala which is managed through monthly expenses of Rs 22 lakh (for medicine, food, grain and salaries) received through rent from her properties in Berlin. Among others is Saalumarada Thimmakka, a 106-year-old woman from Karnataka, who has single-handedly planted thousands of trees over 65 years, taking care of them as her children. She has been spreading awareness about deforestation.